If you are looking for a holiday allowing you to practice different activities every day, Lake Garda with its various entertainment possibilities is your ideal location. In Lake Garda, it is never boring and thanks to its many fun parks, natural parks and events Lake Garda is one of the most popular vacation localities. The majority of the fun parks are open from the beginning of May to the end of September; some of them are even open for the whole year. Fun and entertainment are assured by the numerous full time offers which allow children and adults to live funny moments together. Parking areas are available and you can have a break in the near bars and restaurants to be always ready for new activities. Here you will find a list of the individual fun parks with their address and web page, email address and telephone number. 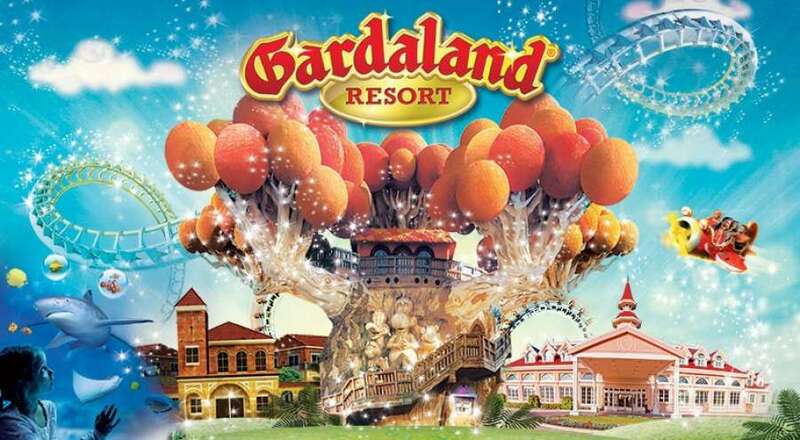 Gardaland Park is the Number 1 Amusement Park in Italy, the one with the longest history and one of the most important ones at a European Level. 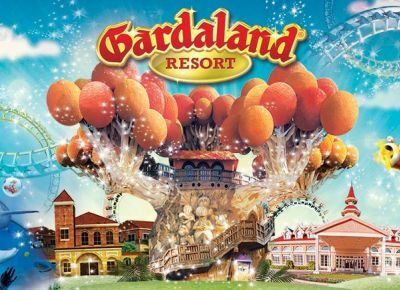 In 2005, the prestigious American magazine Forbes placed Gardaland Park at the fifth place among the best amusement parks in the world! Lying on the south-eastern banks of the Lake of Garda, the Amusement Park is built upon themed areas reminiscent, through a careful and detailed scenographic reconstruction, of the realms of history and geography, of space and fantasy. 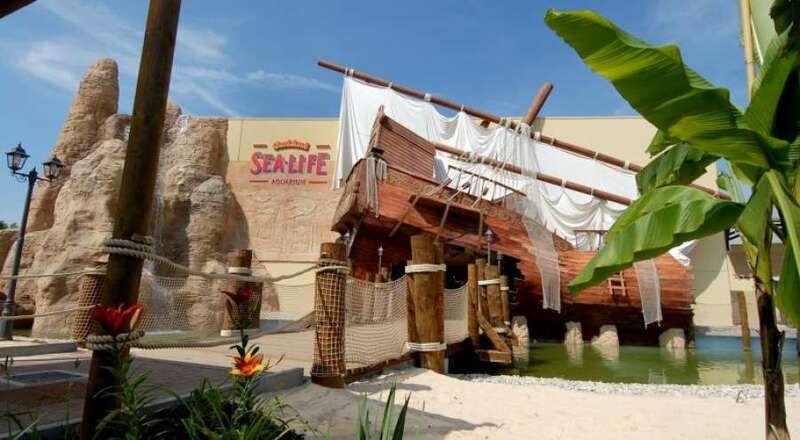 The great variety of attractions and shows is able to satisfy a truly diversified crowd: from early childhood to adolescence all the way to third age, from groups of teenagers to families. 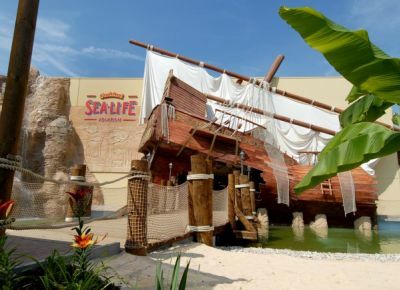 Gardaland SEA LIFE Aquarium is the first completely themed aquarium in Italy. Visiting it is like embarking on a continuous quest to discover the most beautiful creatures populating the fresh and sea waters of the entire planet. In a succession of themed settings recreating in great detail natural habitats you can admire 5,000 specimens in as many as 37 fish tanks. A sequence of mysterious and fascinating worlds, populated by numerous animal species, from the most famous to the strangest and most exotic ones. It is a scientific experience suitable both for adults and for children, with interactive panels and an amusing test-game dedicated to the latter group. 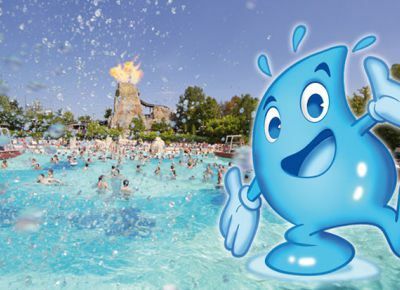 CANEVA AQUAPARK THE TROPICAL ISLAND! Experience all the fun and flavor of the caribbean island! Waves, sand, palm trees and the great volcano. Get ready for a descent down the 7 water slides of Frozen Bob. The Parco Acquatico Cavour is an enterprise, which produces and sells amusement, surrounded by the beauty and the peacefulness of nature. It all began with the construction of a semi-Olympic and some tennis courts. But the idea of Mr. Bighelli was another, the creation of a pool that had all the appearances of a natural pond. 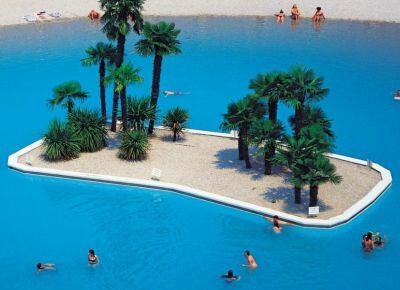 Thus was born in the early 80s, the first pool excisting in Europe with sand bottom. The success of this first pool was immediate, it was an absolute novelty that led visitors to appreciate more and more the park. Meanwhile the park was enriched with new plants, flowers and the gentle scopes of the lawns had become soft carpets. Then arose various dining and service points, shaded areas, benches for picnics scattered in the 200.000 square meters park.